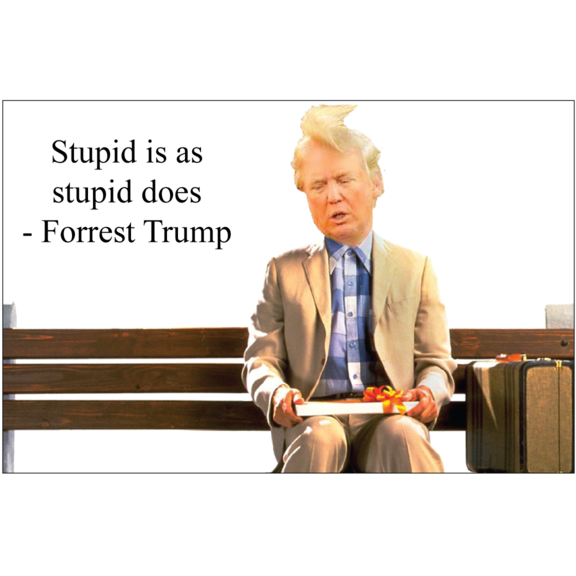 Stupid is as stupid does - Forrest Trump aka President Donald Trump. Another Trump tweet. Another disaster. Here's the tweet: Billions of dollars are sent to the State of California for Forrest fires that, with proper Forrest Management, would never happen. Unless they get their act together, which is unlikely, I have ordered FEMA to send no more money. It is a disgraceful situation in lives & money. Magnet is 2" x 3"